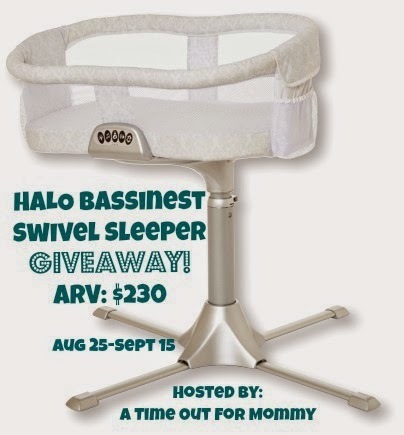 Welcome to the HALO Bassinest Swivel Sleeper Giveaway! Keep your baby as close as can be with the innovative HALO Bassinest Swivel Sleeper. This portable sleep space is the only bassinet that rotates 360-degrees and even swivels, so you can easily access your baby from any angle. (Talk about convenient.) Mesh walls promote airflow and max breathability, while patented side walls lower and return automatically. Even better, it boasts a nightlight and can play up to three soothing sounds and three lullabies. It even has a nursing timer and vibration setting (with an automatic shut-off in case you fall asleep). This is the perfect solution for new parents who are looking for a convenient, space-saving sleep solution for their infant. It comes in particularly handy for women who have had a cesarean delivery! 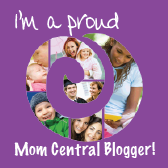 Elaina over at A Time Out For Mommy recently reviewed the HALO Bassinest Swivel Sleeper. You can check out her experience with this amazing product HERE. I'm thrilled to announce that one lucky reader will receive a HALO Bassinest Swivel Sleeper! Simply enter using the easy Giveaway Tools form below! This giveaway is open to residents of the US ages 18+ until 11:59 PM EST on 9/15/2014.Winners will be drawn using Giveaway Tool's Random Number Generator. All entries will be verified, so play fair! Winner will be notified via e-mail and they will have 48 hours to reply before a new winner will be selected. No purchase necessary. Void where prohibited. 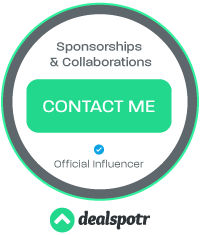 This contest is not affiliated with Facebook, twitter or Pinterest in any way. Thanks for entering, and Good Luck! My favorite feature is the night light. I think the ability to swivel so the bassinet comes to you is the best feature. I also love the built in nightlight, that is especially handy when you are barely awake. I love that the height is adjustable, that would have been so helpful after my c-section. The drop down side is my favorite feature~! I think it's cool it has a nightlight feature. It's not nearly as cool as all of it's other awesome features, but I think it's a nice touch! I like the adjustable height. The mesh walls, and that it rotates a full 360! love that the side wall lowers so tending to baby in bed is easy,(my daughter is having a c section so this would be great for her! ), 360 Swivel, three soothing sounds and three lullabies, and the mesh is all great!! The swivel. I had c-sections so this would have been nice, so baby could be close but so that I could just push it out of the way when sitting up to feed. the drop sides would also make it easier to reach baby. I love that it swivels and has adjustable height. This would be so helpful! I love that the bassinet that rotates 360-degrees and even swivels! I like that it has a variety of ways to access it (like 360 degree swivel) since we would probably use it alongside a number of different seats and chairs. Love that you can access your baby from any angle! I like that it plays soothing sounds and lullabies. I love that you can pull it right into bed! So nice for nursing c section mamas! I really like the 360 degree rotation feature. Mesh walls promote airflow and max breathability, while patented side walls lower and return automatically. I like the height adjustment, night light, I it! I like that it can playing sooth sounds and lullabies. The height is perfect and the fact that it rotates 360 is just a dream come true. The adjustable height is a nice feature. The music is my favorite part. Would love to in for my new great niece or nephew arriving in February 2015. I love that the side wall drops down. This is great for next to bed but also for moving baby in and out. I like that it has mesh walls that promote airflow and max breathability. That always makes me nervous! My niecevbwill be able to keep her baby son right where bshe needsvtongo without moving everything in the house to make this possible. I love that it does a 360 rotation! The "ADJUSTABLE HEIGHT" is what I like. space-saving sleep solution for infants! adjustable & a neutral color! thanks for the giveaway!! My favorite feature is that it rotates 360-degrees and even swivels, so you can easily access your baby from any angle. I like that it is compact and swivels 360 degrees.. And the soothing sounds are a big plus.. This is the perfect gift for a new parent or s veteran... I honestly dont think any other bassinet can compare! I really like the Mesh walls promote airflow feature. I love that it moves 360 degrees and has a nightlight! I love the way this comes right up to the bed. I like the mesh walls that no only promote excellent air flow but also allow me to see my baby while it's sleeping. It seems like a very convenient thing to have! I like the mesh wall as you can see through it. I like that it rotates a full 360. The mesh sides make me feel the baby can breath safely. And that it moves around so easy! I love that it swivels! I think the ability to swivel, then adjustable height. I like that it has a night light. I like that it rotates 360 degrees! That's great! I love everything......so different, so cool.....and rotates 360....awesome!!! I love the night light. I like that it moves 360 degrees. I love so many features it is awesome it rotates 360 but my favorite feature is the mesh sides. This bassinet is genius! I wish we had it when I came home from a c-section! I love that it is adjustable & swings around so I can attend to the baby from the bed or swing it over closer to the rocking chair. The gentle vibration is very nice, too. I love the fact that it is adjustable height. My favorite feature is the 360 degree rotation! For today's new parent's this would be perfect., this product, rotates and swivels 360 degrees to bring baby to you and it's easy to stay in bed while tending to your baby! While doing so it can be locked if desired for yours and baby's safety (for infant's up to 30 lbs). My favorite feature is that it swivels! I like the adjustable height for different situations. I like that it plays music! Thanks so much for the chances to win. I like that it has mesh walls and can rotate the full 360! Looks wonderful! I love the drop down side that is really handy. Its high tech swivel and lowering features. It plays music! This is awesome. I like that it rotates 360 degrees. It has a lot of awesome features, but the fact that it swivels is definitely my favorite!